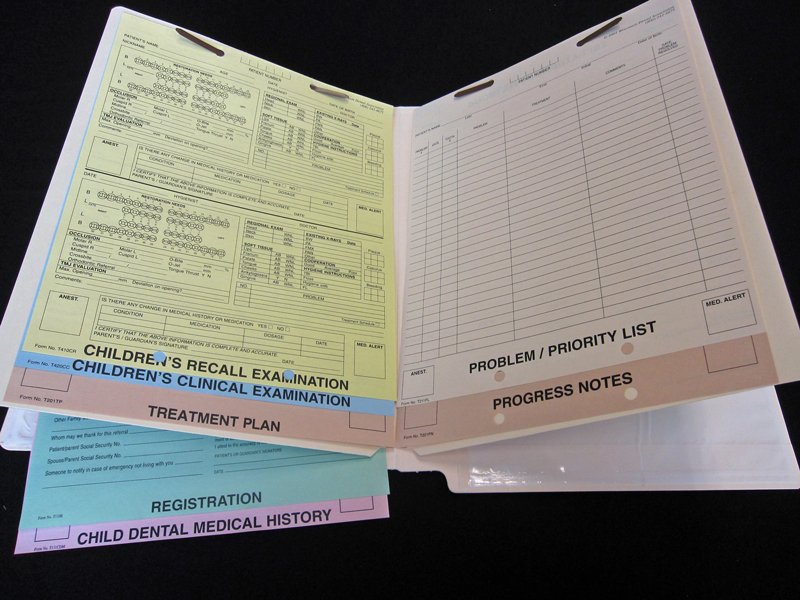 The Children's Flexible Record has clips, 2 dividers, 1 big and 1 small pocket, and 8 forms pre-assembled in the chart. 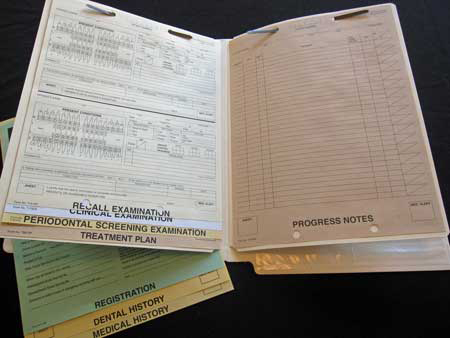 For every 25 charts you get your choice of 1 additional tablet of forms for free. 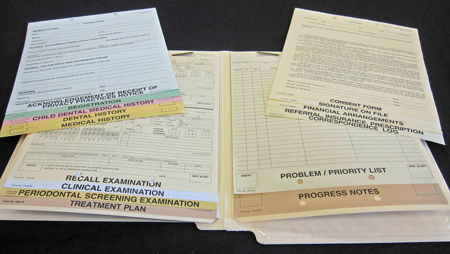 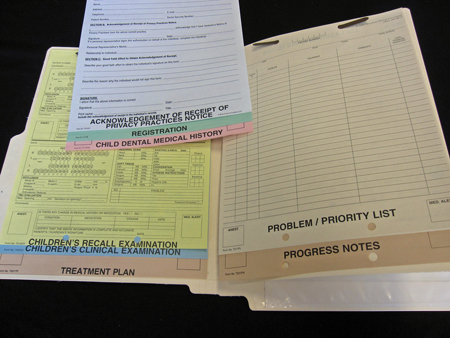 The Children's Flexible Record includes a manila folder, clips, two dividers, two pockets (1 big & 1 small) and 8 forms assembled: Registration, Dental History, Medical History, Recall Examination, Clinical Examination, Periodontal Screening, Treatment Plan, and Progress Notes. 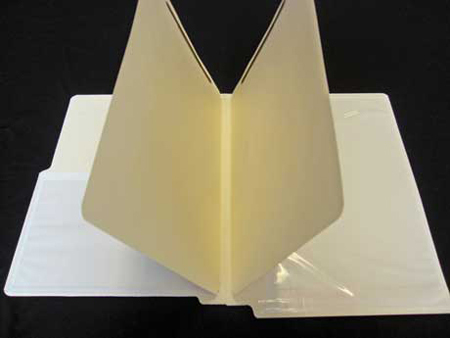 Completely assembled as shown. 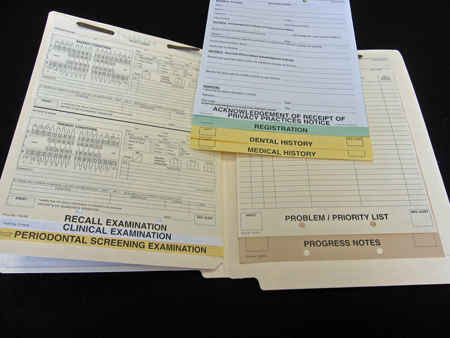 PLUS 1 additional tablet of the office's choice per 25 records ordered. 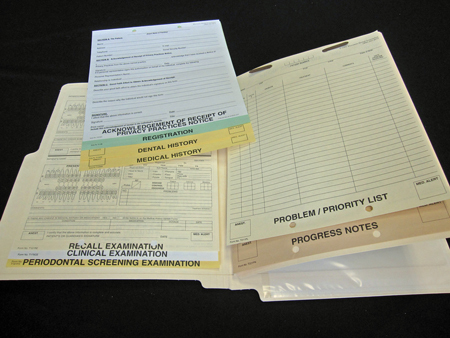 Upon receiving your order, we will contact you to determine which free forms you would like.